I am not a man of vices. When compared to other writers I would be considered very tame, like comparing a cocker spaniel to a mountain lion. If I do luckily find any success for my books and someone decides to write a book about me, I pity them the experience. Seriously, there is just nothing there. I don’t drink or hunt or act suicidal like an Ernest Hemingway. I have never done drugs or partied like a beatnik writer. And I have not left a trail of scandalous relationships in my wake like a romantic poet. 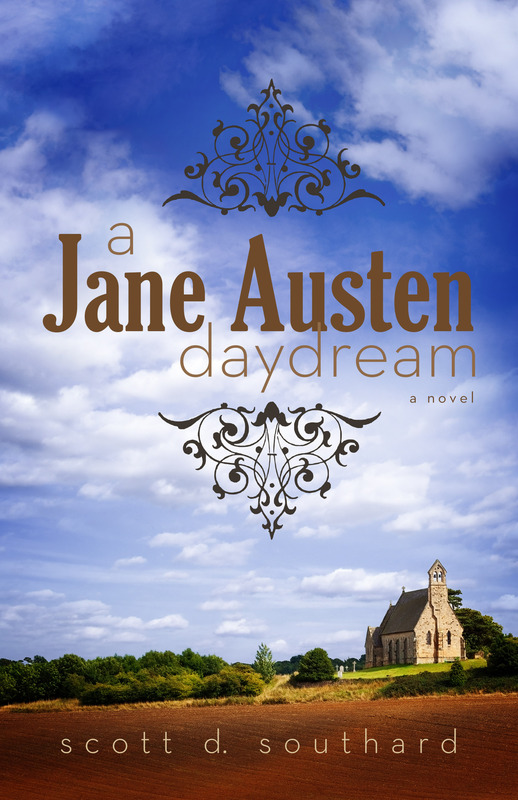 I’m just a boring normal Joe, happily married, who just happens to be an author as well. Sorry. Heck, I didn’t even enjoy the occasional drink until recently when my wife and I discovered the great mix book Tequila Mockingbird by Tim Federle (my current favorite drink being “Crime and Punish-mint.” Seriously, check this book out). Again, future biographers- sorry. The only vice I could ever be said to have had is so minor that I’m sure Fitzgerald and his wife Zelda would have laughed at me. Nope, I’m not talking about my fandom of Doctor Who or Final Fantasy video games. Or my interest in bow ties. Or maybe my possibly embarrassing fascination with Disneyland or collecting Peanuts comic books. 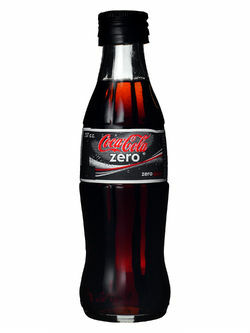 No, no, no… I’m talking about Coke Zero. For a time in my life, if a doctor would have taken my blood, it might have been a little carbonated. I needed a Coke Zero in the morning like some need coffee (which I don’t drink; see, I’m kind of lame). And I would need one in the middle of the morning to get over the hump of it. And then there is the afternoon to get the energy to get through the rest of the day. And sometimes in the evening, chasing two little kids or having to work on a book late until 1 AM. I had even written on my love of the soda before here. Like I said, my blood would have been carbonated… with maybe that slight gold tint to it. Anyway, it was a little while ago that I finally felt like I had had enough. It wasn’t until the second day that I began to really question my decision. On the first day, I was kind of proud of myself and seemed to get pleasure out of the fact that I had three cans of it in my fridge that I was not touching. “Look at me, cans! I don’t need you anymore!” There might have even been a dance or two during that. But on that second day, especially in the morning, I felt the need for caffeine. My head was screaming at me that I was a fool, my body felt older, and the idea of doing any of my morning assignments (making the kids lunches, taking my son to school, etc.) felt like a massive burden. There was no pleasure in anything. It was a gray world with no joy. And throughout the day, I was struggling to keep myself awake. I’m not sure if my body was going through detox or revolting against me, but it was definitely one or the other. And here is the thing: Wherever I went, Coca-Cola and their products seemed to scream at me. Every page on the internet seemed to have an advertisement, they were on signs along the road, and in the grocery store, they seemed to inhabit every aisle. It was almost as if a marketing guru realized what I was doing and the possible impact on their bottom line and was walking three steps ahead of me through the day. It was on the third day that I first really regretted my decision. My local movie theater has this great soda fountain where you can mix different flavors. So, if I wanted, I could have raspberry-flavored Coke Zero… or orange flavored… I could go on and on, and I had been enjoying trying different variations in it. My mouth is just watering thinking about it. Anyway, on this third day, my son had the day off from school and I promised to take him to the movies. 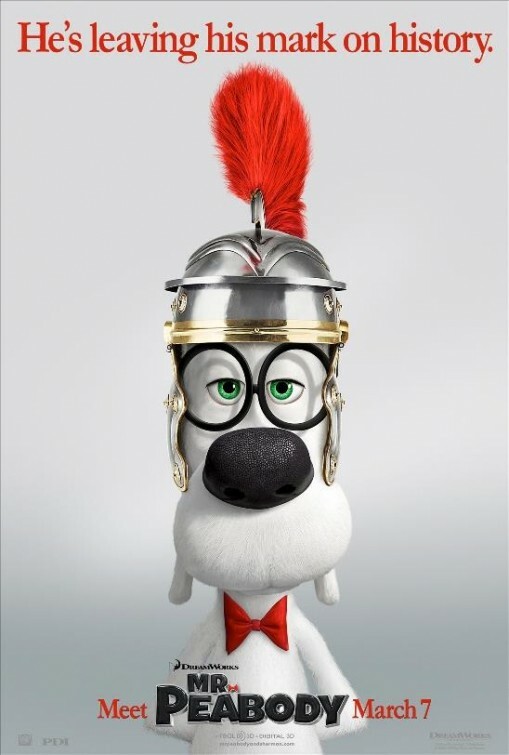 I had some misgivings about the movie, Mr. Peabody and Sherman (mainly, because I loved the cartoon as a kid and the idea of making it as a movie felt like a bad idea and unnecessary), but I had more issues with the idea of simply buying a bottle of water to go with the popcorn. It just felt so boring. The movie didn’t help the situation. I never, never, ever fall asleep in movies, but I did in that one, which says a lot about it. Plus, the writers went to a lot of trouble to explain things that they never bothered to do in the cartoon (like the relationship of Sherman and Peabody). Whatever, the case I didn’t like it and actually fell asleep. …And while I napped, my son took the opportunity to his advantage and ate all the popcorn. So I didn’t even get much of that. I get the importance of water in the world and our bodies. Yes, it gives us life, blah, blah, blah… But why does it have to taste so boring? I’m sure even fish must get a little bored with it. I mean, at least with air you get smells. Some are unpleasant, yes, but there are variations to the air you breathe. It’s something. So since my main intake now is H20, I began to seek out alternatives. I latched on to Vitamin Water, but I am trying to avoid having it be “my new thing” replacing Coke Zero in my life. Honestly, though I don’t think I could drink as many of them as I did Coke Zero. For some reason, the flavors always remind me of the taste of melted popsicles as compared to something healthy. And just like in Cops, my child responded quickly with an excuse. “I just wanted a sip.” His voice even did that nervous squeak thing you would hear on the show. Life is complicated enough, no one needs Vitamin Water drama. It’s been a week since I set aside those black cans of energy wonder, and there are benefits. I feel like my stomach has a lot less issues and I’m not as hungry all the time since I am drinking more water. So snacking is down. Yeah, missing that energy kick hurts (and I will probably feel it the first time I stay up late to work on a book), but I feel more myself. Which is an odd thing to write, but feels even more oddly true. This entry was posted in Life and tagged Coke Zero, Ernest Hemingway, growing older, Healthy, healthy living, Life, Movie, Mr Peabody and Sherman, Parenting, Soda, Tequila Mockingbird, Tim Federle, Vitamin Water by Scott D. Southard. Bookmark the permalink. Im the same, I can go without alcohol and drugs and other vices but my one love is soda. However, I have gone through the process of cutting it down to one per day and switching to water otherwise. There are definitely benefits, and maybe the next step will be to cut it out altogether. But given that we don’t have any other vices why does life have to be so boring? Cant we have one vice?? That was my feeling but I began to worry about my stomach and teeth. I also can’t have dairy now, so in the last few years I’ve also list ice cream. Argh! That was fun to read. If your a Catholic you would have Lent covered. LOL. The trick is to give up something you don’t like (e.g., spinach). That’s what I did when I was a kid.